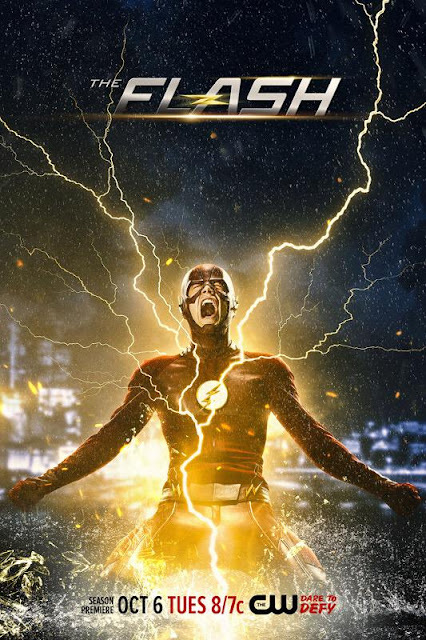 'The Flash' star Grant Gustin took to social media to debut a new electrifying poster for season two. As you can see, season two will be particularily shocking for Barry. Besides new threads he'll be dealing with some new enemies from an alternate universe. It should be a blast when 'The Flash' returns on October 6. It's not easy being the fastest man alive. Take a behind-the-scenes look at the October 6 season premiere of The Flash!